Naval battles between U.S. Navy and Imperial Japanese Navy surface forces around Guadalcanal in 1942 were almost always brief and bloody. 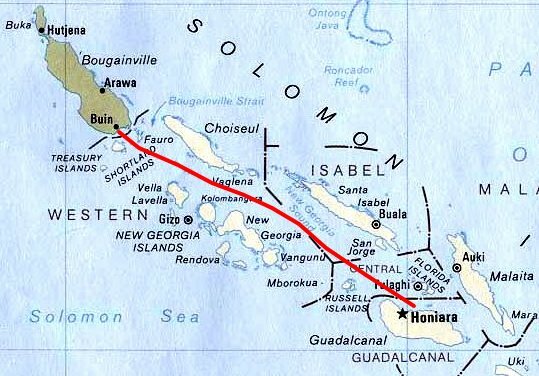 The number of ships from both sides sunk in the waters around Guadalcanal, and the islands near it: Tulagi and Savo Island, led to the area being nicknamed “Iron Bottom Sound.” Over fifty ships and craft would be interred in the waters around Guadalcanal by the end of the campaign. These numbers included 2 battleships, 8 cruisers, and 22 destroyers. 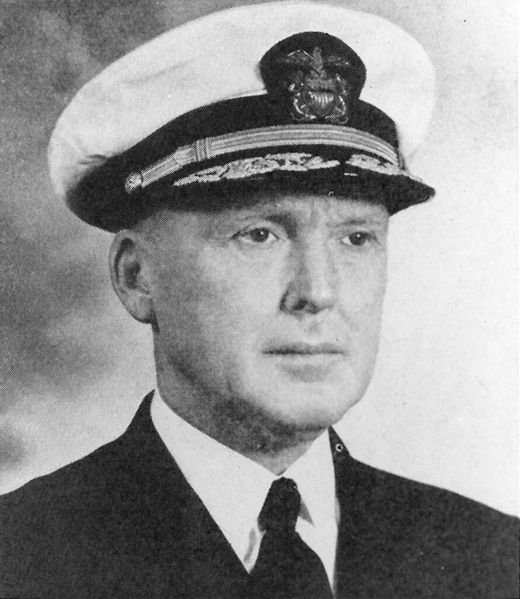 The battles around Guadalcanal occurred in a time of technical transition for the United States Navy as its radar became better at detecting ships and fire direction systems advanced in their accuracy and targeting ability. While almost all U.S. warships had radar primarily the SC search radar and FC Fire Control radar, not many U.S. Navy warships had the advanced SG surface search radar. But it was not just a matter of technology, it was a matter of training and experience. Their opponents, the Imperial Japanese Navy had very few ships equipped with radar, but their training for surface actions, especially night fighting where their superior optics, gunnery skills, and torpedoes proved deadly during the first year of the war before U.S. Navy crews mastered their technology edge. By October 1942 the U.S. Marines battling on Guadalcanal were fighting an enemy growing in numbers on the ground even as they felt the effects of the the predatory Japanese surface raiders that routinely bombarded their positions and endangered U.S. resupply efforts. Since the Marine, Navy and Army Air Force Squadrons based on Guadalcanal maintained air superiority in the nearby waters during the day the Japanese were limited to night surface operations against the island. 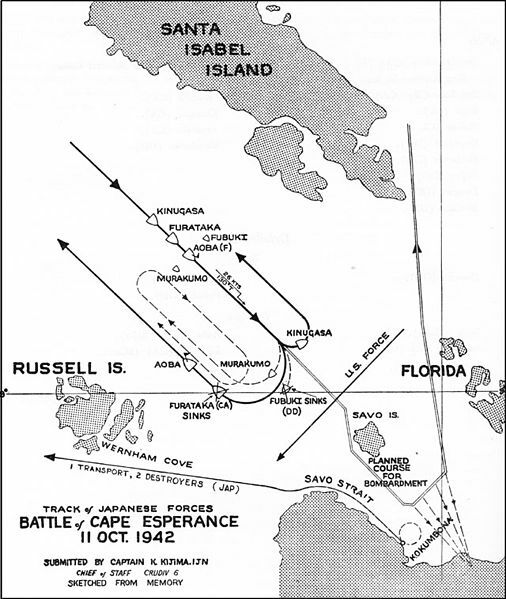 These operations involving the reinforcement and resupply of Japanese Forces on the island as well as offensive naval gunfire operations to aid the land forces in which Japanese warships attempted to destroy or degrade Henderson Field. Despite this admission it would take several more engagements in the waters around Guadalcanal before the U.S. Navy fully appreciated the superiority of Japanese optics, training in night fighting, and their deadly 24″ “Long Lance” torpedoes. It would not be until 1943 that the U.S. Navy began to exploit its advantage in radar and use it to their advantage in night surface actions. Japanese resupply and reinforcement operations to Guadalcanal were so frequent that the Japanese forces were nicknamed the Tokyo Express by the Americans. Knowing that the Marines who had been in bitter combat with the Japanese needed reinforcements the U.S. sent a convoy to land the 164th Infantry Regiment of the Americal Division on October 13th. To protect the convoy the U.S. Navy dispatched a surface task force, TF-64 composed of the Cruisers USS San Francisco, USS Boise, USS Salt Lake City and USS Helena and 5 destroyers under the command of Rear Admiral Norman Scott to protect it from any Japanese surface threats. The U.S. move to reinforce Guadalcanal coincided with a Japanese effort to reinforce their forced on the island. They Imperial Navy sent a covering force of three heavy cruisers, the Aoba, Furutuka and Kinugasa and two destroyers under the command of Rear Admiral Arimoto Goto. The Japanese cruisers were to bombard Henderson Field as the Japanese were not expecting any American surface forces to oppose their effort. The Japanese were detected by aerial reconnaissance on the afternoon of the 10th when they were still about 200 miles from Guadalcanal. 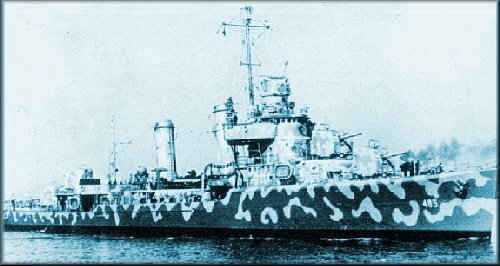 Scott, whose forces lacked experience in night surface combat made a simple plan to “cross the T” of the enemy force in a single line formation with three destroyers in the van, the cruisers in the center and two destroyers in the rear. U.S. floatplanes from the American cruisers detected the Japanese at 2300 hours. At 2322 the radar of the USS Helena picked up the Japanese force at a range of about 27,000 yards. However misunderstandings of Scott’s orders by his flagship broke his formation and put the van destroyers out of position in the poor visibility of the moonless night. The confusion caused Scott to believe that the radar contacts were his own destroyers. The Japanese still did not realize that an American force was near them and continued on. At 2345 the ships were only about 5,000 yards apart when Helena radioed Scott asking permission to fire. The message was received by Scott who acknowledged his receipt of the message did not grant permission open fire. However, his response of “roger” was mistaken as permission to open fire by Helena. The American cruiser opened fire on the Japanese aided by her SG and FC radars. She was followed by the other cruisers which opened a devastating fire on the Japanese force. The Japanese task force was completely surprised, they had not expected to encounter American surface ships and failed to be on alert. Goto’s lookouts had sight the Americans at 2343 but assumed that they were friendly Japanese ships. The result was that the Americans inflicted heavy damage to the Japanese flagship, the heavy cruiser Aoba and left Goto mortally wounded. Scott was taken by surprise by the action of his cruisers and ordered ceasefire at 2347 thinking that he was shooting at his own destroyers. Four minutes later he ordered his ships to resume fire at 2351. At 2349 the heavy cruiser Furutaka was heavily damaged by American fire and at 2358 she was was hit by a torpedo fired by the destroyer Buchanan. The Japanese destroyer Fubuki was mortally wounded about the same time and began to sink. The U.S. destroyers Duncan and Farenholt were both damaged in the crossfire with Duncan so badly damaged that she would be abandoned and sunk. Instead of continuing to rely on radar the American cruisers turned on their searchlights which provided the last Japanese cruiser, Kinugasa the opportunity to hit them hard. Kinugasa’s gunners heavily damaged Boise and but for a certain amount of luck would have sunk the American ship. One shell hit the number one turret setting fires in it, while another hit below the waterline and detonated in the forward 6″ magazine threatening to blow the ship to pieces but the onrushing water from the hit doused the flames and saved the ship. Despite that Boise was out of action with over 100 casualties, all of the forward magazine and handling crews were all killed. As Boise sheared away from the action, Kinugasa and Salt Lake City exchanged fire, each hitting each other before the Japanese cruiser broke off the action. 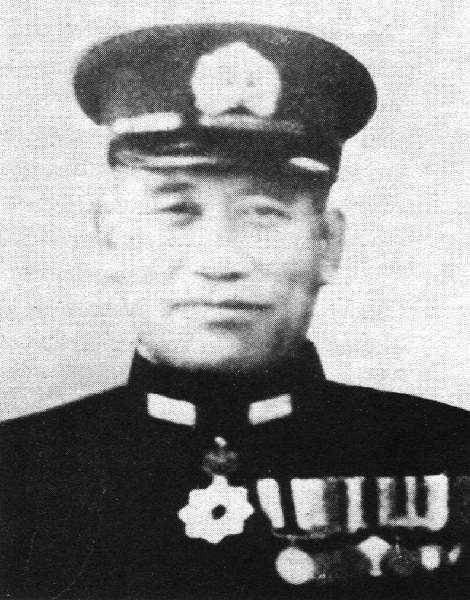 The commander of the Japanese reinforcement group, his mission completed dispatched his destroyers to assist Goto’s force at it withdrew and rescue survivors. However these ships were caught by U.S. aircraft from Henderson Field as the light of the dawn lit the sky. The destroyers Murakumo and Natsugumo were heavily damaged, abandoned, and scuttled by the Japanese. On the 13th the American reinforcement convoy arrived, as did Japanese reinforcements later that night. On the night the 13th, the Japanese battleships Kongo and Haruna conducted an attack which most destroyed Henderson Field. However, the resilient Marines kept the airfield operational as the Marines of the 1st Marine Division and the nearly arrived soldiers of the 164th Regiment held off a major Japanese assault from 23-26 October, known as the Battle of Henderson Field or Bloody Ridge. Scott’s Task Force 64 lost one destroyer sunk and two cruisers damaged while the Japanese lost one cruiser and three destroyers sunk, with two cruisers damaged in the action. 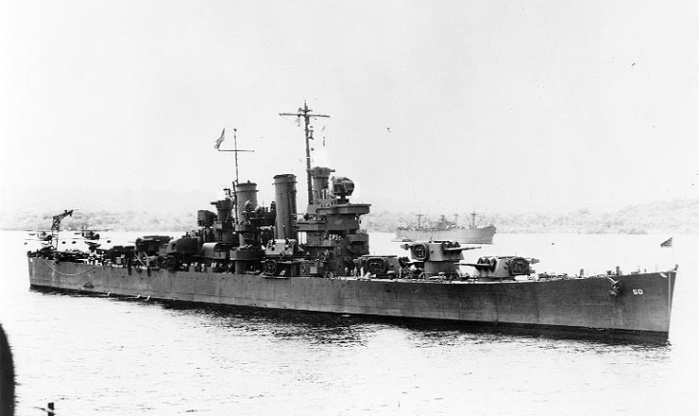 The Japanese flagship Aoba was severely damaged by nearly 40 6” and 8” shells fired by the American cruisers. Her bridge was shattered and her number three turret destroyed. The damage knocked her out of the war for four months and the number three turret would not be replaced. On the American side the heavily damaged Boise was sent to the East Coast for repairs while Salt Lake City was repaired at Pearl Harbor. The battle had lasted less than 50 minutes from the time Helena picked up the Japanese force on her radar. The battle was a tactical victory for the U.S. Navy. However, the Navy did not learn but the lessons of the battle about the power of Japanese torpedoes and effectiveness in night combat. While he Scott maintained a cool head and reacted to the situation with great courage he assumed that his deployment of his ships in a line formation coupled with superior American gunnery had won the battle. However, his ignorance on the proper use of the various types of radar used by the U.S. Navy meant that he and other American commanders would continue to misuse it and rely on searchlights and recognition lights during night surface actions. Likewise, he made the false assumption that Japanese torpedoes were no longer a threat. While the battle helped inspire American confidence, it was not a strategic victory. Japanese forces nearly destroyed Henderson Field on the night of the 13th, and the the most decisive battles were yet to come.